– Professor Xavier (it didn’t work). Uncanny X-Men was selling like gangbusters. Chris Claremont had been writing the book for 137 years (give or take). Marc Silvestri was in the middle of his (quite popular) penciling run on the book. 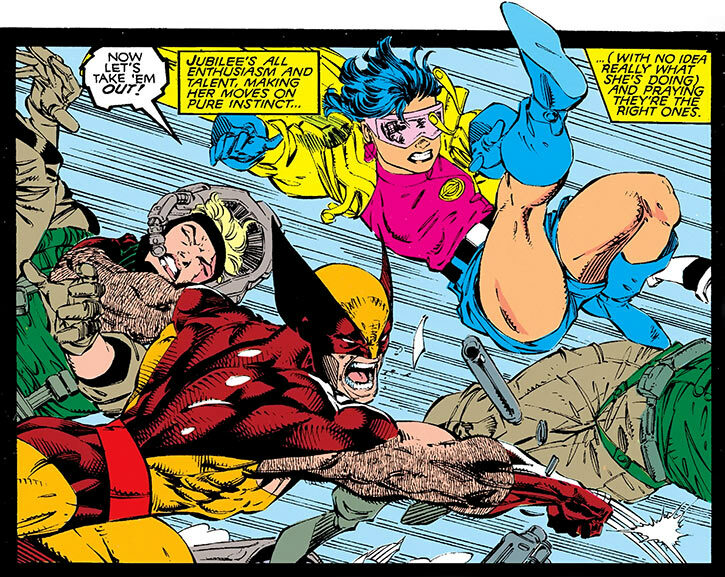 Jubilee was a sort of Robin figure to Wolverine’s Batman. 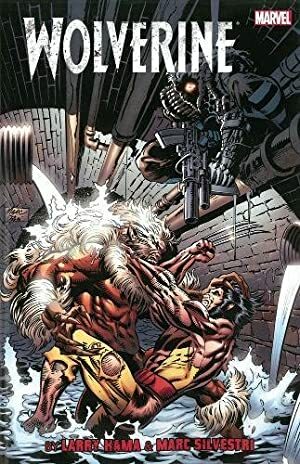 This built upon the successful dynamics between Wolverine and a young Kitty Pryde, particularly during the eponymous 1984 Limited Series . 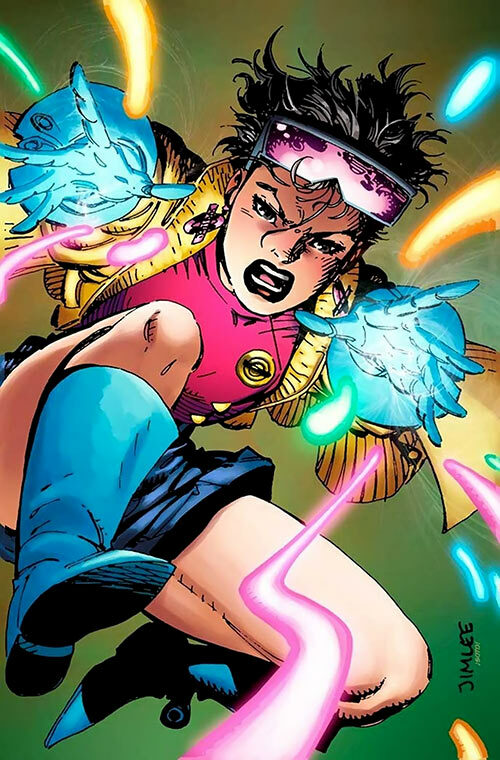 Jubilee reportedly got most of her exposure in one of ’em 1990s X-Men animated series . But it’s not something I know much about. This profile covers her early comics material, including flashbacks wot I know of. It stops as 1993 ends, Wolverine leaves the X-Men, Jubilee’s power increases, and the work to establish Generation X is gaining momentum. It is presented in two parts, due to length. Part #2 can be found here. Known Relatives: Parents (first names unrevealed, deceased), Hope (aunt). Base of Operations: The Hollywood Mall, then a ghost town in the Australian outback, then either Mobile or the X-Mansion. Height: 5′ Weight: 87 lbs. Age: 13-ish. Notes: The official vitals for Jubilation seem impossible. So our profiles will assume a/ reasonable numbers, b/ a 5’3″ Wolverine (most of the time) and c/ that these numbers changed as she grew up. Is uncommonly fast and agile. Was trained as a gymnast since she was a wee tyke. Is stealthy, smol, and an artful dodger. 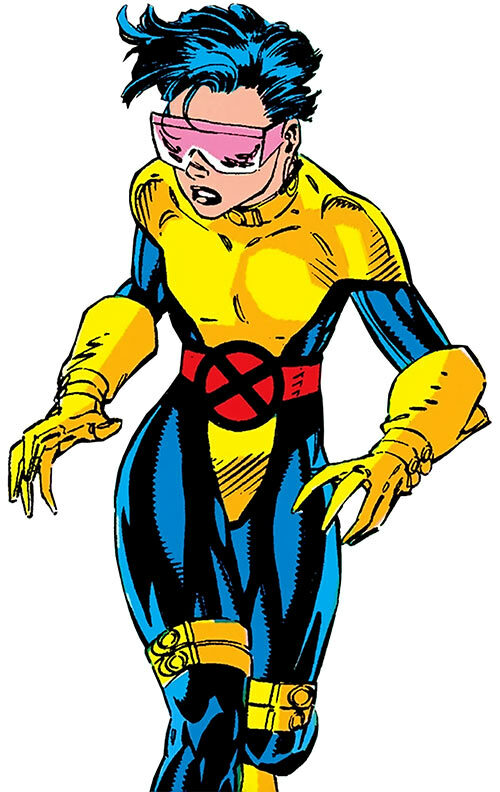 The latter has been used to keep enemies busy missing her, freeing other X-Men for offense. Has some brawling experience. She’s not a real combatant due to her age, but she’s not bad at landing kicks (including jump kicks). Was taught Girl Scout skills, which include surprisingly good first aid technique. Her acrobatic prowess is cinematic . By real world standards, what she performs is on the level of what Jackie Chan at his peak would pull in a movie. She may have a mutant talent for this, or it could just be comic book physics at work. Forcing Jubilee to do something she doesn’t want to do is a tall order, even when using telepathic coercion. It’s not superhuman or anything, but her resilience to this is well above average. Even under the influence of the Shadow King, she managed not to attack her best friend Wolverine. Lee’s mutant power is to release (or absorb) globules of low-temp plasma from her body. She can control their trajectory and detonation. The primary use is to create a fireworks-like pyrotechnics display with much noise, flashes and colours. These are called “plasmoids” or, if Claremont is writing, “articulate, quasi-animate, transitory plasmoids”. Jubilee comes to call them “pafs” – which is the noise they make when she does high-luminosity-but-moderate-noise detonations. Beyond performing psionically -controlled fireworks, plasmoids can be used to daze and blind people. This works much like a flashbang grenade, but not as loud and with better accuracy. 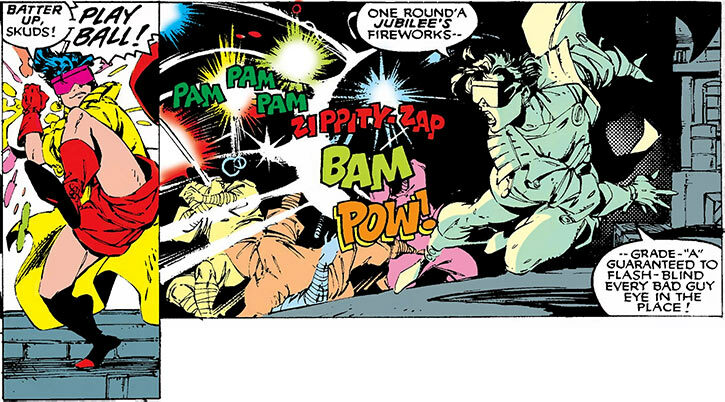 Jubilee also learned to concentrate explosive forces to perform minor demolition. It’s a bit like working with Old West sticks of dynamite. On occasions she’s been able to produce even bigger blasts, but it’s draining and can’t be done on demand. Plasmoids can be maintained even underwater, to provide illumination whilst diving. As this era closes, Jubilee gains a better control of her “pafs”, both in accuracy and in power. This is seen in action but once or twice before the next writeup starts. 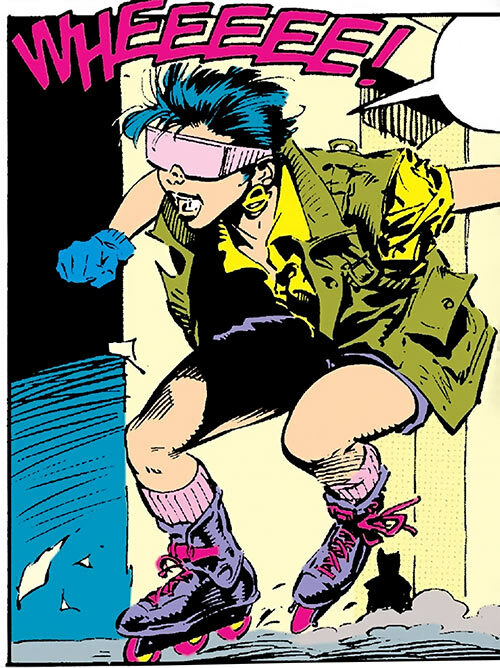 Jubilee was mind-taught Shi’ar by Psylocke. It seems likely that she thus knows both the High and Low forms of this alien language. Lee appears to be a decent swimmer and snooker player, and is real good at rollerblading and aggressive skating . She knows the basics to operate various sorts of boats, motorcycles and to a lesser extent motorcars (vehicles licences ? We don’t need no stinkin’ licences !). She can also draw surprisingly well. 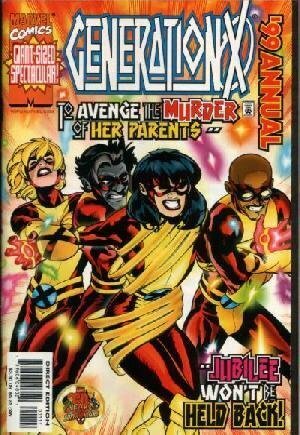 Once she joined the X-Men, Jubilation had to study to catch up with the education she had been missing as a runaway. Howbeit, she’s a poor student. Lee mentioned that her grades were well below those of *every* Xavier student before her. She’s also a poor trainee in the Danger Room, despite her physical gifts. She seems to have perused archives on old X-Men foes and battles. But only a small part. Presumably she then wandered off to watch the Arsenio Hall Show . Lee is dyscalculic . Her brain cannot fully process numbers, preventing her from doing even a series of additions. She received remedial lessons to help her with that, but there’s only so much that can be done to work around her handicap. It seems likely at this stage that Lee has some sort of attention disorder (perhaps ADHD). But there isn’t any statement about such. Lessee, what was huge in the billboard when Jubilee appeared… ah yes, Paula Abdul’s Straight Up. It was very very 1989 (yet it didn’t age badly), and absolutely what Jubilation would listen to. Like, y’know, it even has an Arsenio appearance ! And the video was uncommonly kinetic by then-contemporary standards. Available for download on Amazon . I’m *assuming* that Jubilation discovered her mutant power when she was 12 or 13. And that she was 13½ when she first appeared in 1989. It’s not a solid estimate since her size, her behaviour, the comics’ art styles, etc. do not seem consistent enough for a firm guess. By her 2004 mini-series , she seems to be 15½ or 16 and is in high school. She’s riding a scooter in California, so legally she has to be 16… but she’s not exactly the law-abiding type. 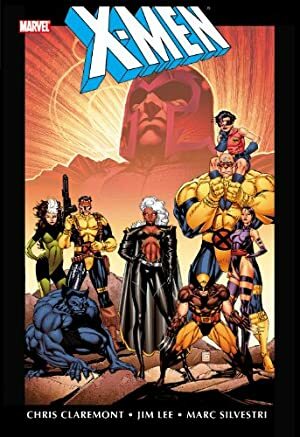 If seeing people age two years while 15 years pass seems weird, we suggest that you hit our main article about ageing in comics, then our article about ageing in Claremont’s classic X-Men. Jubilee is the only child of a wealthy Beverly Hills couple. Her father, Dr. Lee, was the president of an international bank. The Lees were originally from Hong Kong, but they moved to the US during the 1970s. They named their daughter “Jubilation” as a symbolic acknowledgement of their good fortune in the US. The couple expressed annoyance at being considered Chinese-American, as they had never set foot in the PRC. Hong Kong was, back then, a British territory. Apparently, they never spoke Cantonese at home. A relative of the Lees, Jubilee’s aunt Hope, was an elite assassin in Hong Kong, Chow Yun Fat-style. They disowned her, and it is possible that Hope’s underworld ties led to their emigration. Jubilee did not even learn that she had an aunt until she was 15 or 16. The Mandarin once mentioned that Jubilation had a “noble” and “ancient” heritage. It is thus possible that the Lees are descended from nobility. But my impression was that the heritage the Mandarin was thus describing was being ethnically Han Chinese, in general. During her many extra-curricular activities and at Beverly Hills prep , little Jubilation discovered that she had a talent for gymnastics. Though she was reluctant to practice, her mother had her exercice seriously, apparently wanting her daughter to compete. 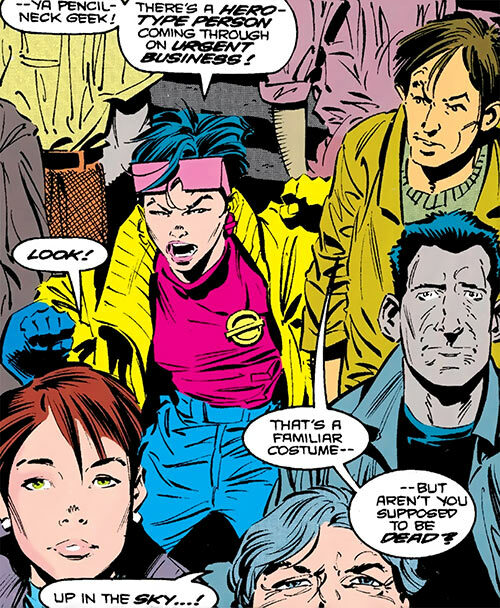 The Lees were very busy with their career, and Jubilee felt neglected. With her best friend Cynthia-Jennifer (a.k.a. “Cynjen”), they stole from malls for excitement. Using their superior rollerblading skills, the 12-year-olds reliably evaded mall security. Jubilee eventually erred and was cornered by rent-a-cops. Imagining how her parents would react made her panic, and plasma releases exploded from her hands. This allowed the shocked Jubilation to make a break for it. Her parents didn’t freak out upon learning that she was a mutant. Howbeit, her father expressed disappointment at her specific power. Soon after this incident, Jubilation’s parents were killed in a car crash on Mulholland Drive . Since they had always been secretive about their jobs, Jubilee correctly suspected that they actually had been murdered. For a time, she thought that the hitmen had come to the wrong house. Their neighbours were a Chinese-American couple also named Lee, and the man also held a doctorate. But as it turned out, the killers had hit the correct Dr. Lee. Jubilation’s parents had been slain on order of one Hunter Brawn. Brawn was a criminal who had used Dr. Lee’s bank to launder massive amounts of money. Once the Lees were dead, fake documents were used by Brawn to transfer away the bank’s entire funds. Shocked by being suddenly orphaned, little Jubilee refused all help and ran away. The Lees in the next house over had offered their hospitality, but the kid was too freaked out. Jubilation came to live as a full time as a mallrat in the Hollywood Mall. I’d assume this means the Hollywood & Highland mall , a modest 390,000 square feet area on Hollywood Boulevard. She subsisted by stealing merchandise, collaborating with other runaways, and busking. The most profitable performances were light shows using her mutant powers. Mall-goers liked these colourful displays, even though anti-mutant sentiment was high. Given Lee’s long history of evading them, mall security hated her guts. After a spectacular escape of hers, the guards contracted the M-Squad. These were a local “mutant hunters” outfit reminiscent of the Ghostbusters. Though they were fumbling amateurs, they had dangerous tech. Jubilee was no match for them. However, several X-Men members (Dazzler (Alison Blaire), Psylocke (Elizabeth Braddock), Rogue (Anna-Marie NLN/“Carol Danvers”) and Storm (Ororo Munroe)) were at the mall that day. They responded, easily dispersing the M-Squad and destroying their out-of-control gear. Jubilation was fascinated by these fine ladies, wishing hard she could be like them. When they teleported out, their portal lingered on – and Lee impulsively dove through. Madness ? No ! This… is… Straya ! Back then, the X-Men were headquartered in a ghost down deep in the Australian outback. Jubilee hid in a deserted building. She assumed that if she were caught she’d be handed over to the police. She stole food and the occasional shiny thing, such as Dazzler’s old stage outfits. 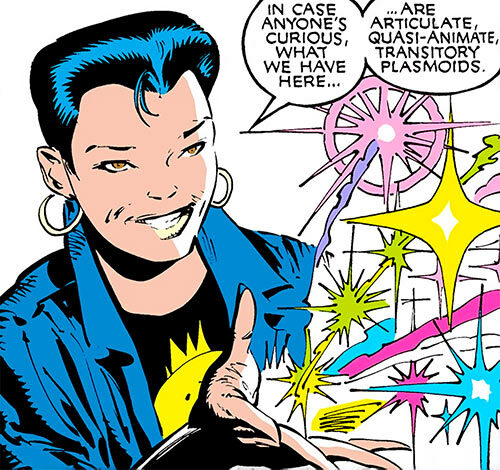 When chased by a cybernetically-enhanced dingo , Jubilee narrowly survived by using her plasmoids as a directed energy attack for the first time. However, the X-Men were soon forced to evacuate through the Siege Perilous magical artefact. Cyborg brigands the Reavers recaptured the place (and repossessed their cybernetic dingos). They also captured Wolverine (James Howlett). The horrified Jubilation saw the Reavers crucify Wolverine. She then saw him tear himself from the cross. Though she was paralysed with terror, she managed to move in and help when he talked to her. 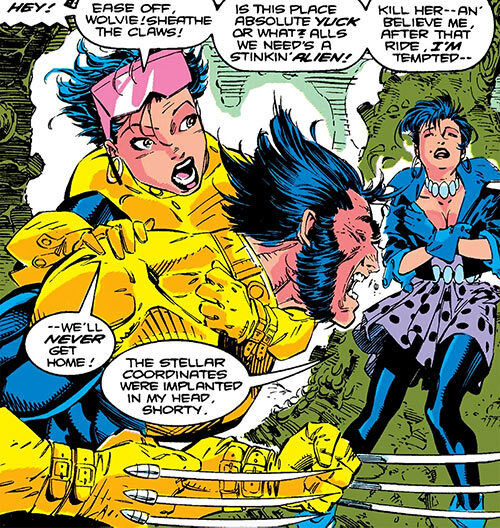 Jubilee was instrumental in hiding Wolverine and nursing him so he could recover. Once he could walk, he took Jubilation with him and fled the Reavers. However, his healing factor had been overtaxed. He was weakened and had frequent hallucinations of being escorted by Nick Fury and Carol Danvers. The rest of the profile is in part #2 !